The award-winning Rahway High School Performing Arts program brings the popular musical Pippin to the stage this March. The Tony Award-winning musical, with music and lyrics by Stephen Schwartz and book by Roger O. Hirson, tells the story of a young prince who is struggling to find meaning in his life. The production features a talented cast, crew and pit orchestra with stage direction and choreography by Alison Dooley and musical direction by Robert Van Wyk. This ambitious production has a cast of 38, 25 adults and students in the pit and 10 students serving as crew, as well as staff, parents and community members helping with costumes, props and set building. Rahway High School features a robust Performing Arts program that was just recently named the winner in NJ.com’s “Best High School Musical in New Jersey” after a month-long search. The prize is that they will be in attendance to cover the show. 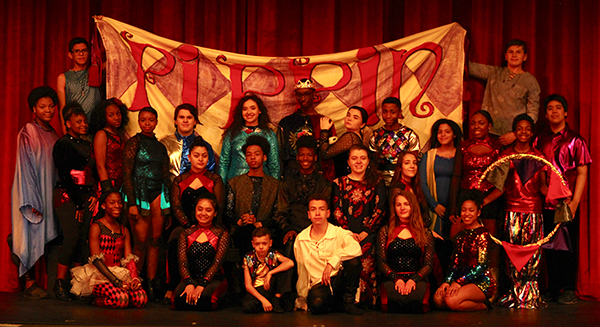 Pippin performances are Friday, March 29 and Saturday, March 30 at 7:30 p.m. and Sunday, March 31 at 2 p.m. at the Rahway High School Center for the Performing Arts, 1012 Madison Avenue, Rahway, NJ. Tickets are available online at rahwaymusicals.org or by phone at 732-396-1100.